The expert team f our company offers high quality Comb. It is acclaimed and appreciated across the globe for its quality, performance and durability. The expert professionals of our team ensure their accordance with the international quality standards. We procure them certified vendors and our range includes Comb. Blue / Red Binding Comb (32 TO 52 MM) are one the vital product from our complete product range. Binding Combs are available with various colors. 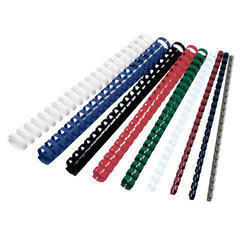 This Binding Combs are specially available for office suppliers or for stationery purposes. You can use this Binding Combs to bind the books of various pages i.e. from 10 pags to 200 pages. 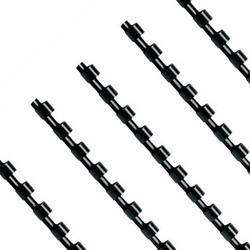 This Binding Combs are demanded in all over India and also in various parts of world like Turkey, Poland, Nepal, Bhutan, Sri Lanka, Deubai etc..
Our expertise allows us to offer high grade Black Binding comb (6 TO 28 MM). The products are widely offered in various colors like navy blue, black, white, brown, red, maroon, black blue, yellow and hunter. We offer them in different specifications, as per the requirements. Our range of spines is stamped hot and printed using high quality silk screen. Blue / Red Binding Comb (6 TO 28 MM) are one the vital product from our complete product range. Binding Combs are available with various colors. 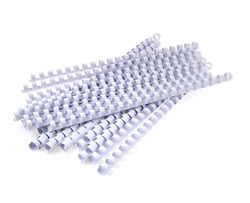 This Binding Combs are specially available for office suppliers or for stationery purposes. You can use this Binding Combs to bind the books of various pages i.e. from 10 pags to 200 pages. This Binding Combs are demanded in all over India and also in various parts of world like Turkey, Poland, Nepal, Bhutan, Sri Lanka, Deubai etc..
Our expertise allows us to offer high grade Black Binding comb (32 TO 52 MM). The products are widely offered in various colors like navy blue, black, white, brown, red, maroon, black blue, yellow and hunter. We offer them in different specifications, as per the requirements. Our range of spines is stamped hot and printed using high quality silk screen. 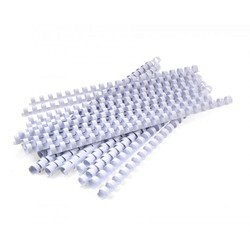 White Plastic Comb (6 TO 28 MM)are one the vital & most demanded product from our complete product range. Plastic Combs are available with us in various colours. We also capable to serve the plastic combs as per the required colour of customers, but there should be in large quantity. Plastic Combs are used for office & stationery purposes. Which is helpful you to accumulate your papers & bind with this plastic combs. White Plastic Comb (32 TO 52 MM)are one the vital & most demanded product from our complete product range. Plastic Combs are available with us in various colours. We also capable to serve the plastic combs as per the required colour of customers, but there should be in large quantity. Plastic Combs are used for office & stationery purposes. Which is helpful you to accumulate your papers & bind with this plastic combs.